We need to tidy up the Towny. It's a mess. And there's barely any space. 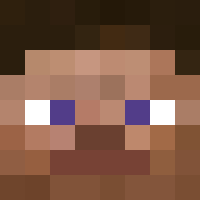 Hey Fish Eater911 I'm on your towny and I built a skyblock base. But today I saw day someone named be3tgam0r1 took over and everything in it. He took all my stiff and I don't have my items, house or plot anymore. Can you give my skyblock base back including the chests? Thx please reply soon. I have no idea wat facs is. But I'm exided anyway. Please tell me wat it is :P.
I noticed how many people join cowcraft every day. If we had a commercial we would have some of the famous people. Unaboy3434 has had pigs in his house. I'm starting to doubt his loyalty to the server.